Portland State University Library announces the publication of five open textbooks authored by PSU faculty for PSU students. In their first term of use, these textbooks saved students more than $23,800. Textbooks costs are growing and can be a significant barrier for students. The National Center for Education Statistics reports that, in the 2012-13 academic year, students at public universities paid an average of $1,250 for textbooks and supplies. The new open textbooks were published in PDXScholar by PSU Library and funded through PDX Open: Reducing Student Textbook Costs, a project of the reTHINK PSU Provost’s Challenge. PDX Open created, through the Portland State University Library, an open textbook publishing initiative that provided technical and financial support for faculty members to create open textbooks, with the goal of reducing costs for students. The five textbooks were created for courses in Special Education, Japanese, University Studies, Math, and Urban Studies and Planning. Each author or group of authors received $2,500 to create their textbook. 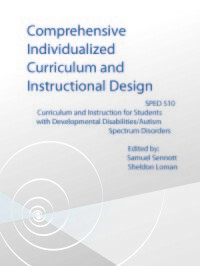 Created for use in SPED 510: Foundations of Special Education, this textbook provides pertinent, practical, and current resources to future special educators who plan to serve individuals with complex disabilities. This new textbook replaces a textbook that cost $135. In winter term, approximately 60 students enrolled in three sections of SPED 510 and, all together, saved $8,100. This textbook, assigned in JPN 399, is designed for students who have intermediate competency in Japanese. The book can be used for self-study, as part of online course, and in a traditional classroom setting. Previously, students were required to purchase a $100 textbook. In fall term 2014, the 17 students enrolled in the class saved $1,700. 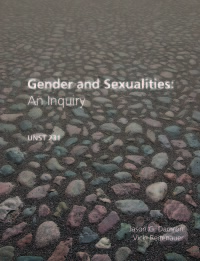 This textbook was created to accompany UNST 231 Sophomore Inquiry: Gender and Sexualities. In winter term 2015, 75 students enrolled in this course. The previously required textbook cost $100. This new textbook saved students $7,500. This textbook, developed to accompany MTH 311: Introduction to Mathematical Analysis I, provides students with a strong foundation in mathematical analysis, including the completeness axiom, sequences and convergence, continuity, and differentiation. This textbook replaces a required textbook that cost $100. In winter term 2015, 34 students saved a total of $3,400. 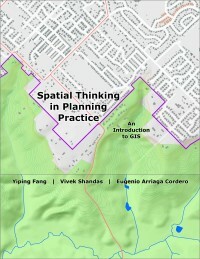 Created for USP 531: Geographic Information Systems (GIS) for Planners, this textbook aims to help students acquire the technical skills of using software and managing a database, and develop research skills of collecting data, analyzing information, and presenting results. Before this new textbook was published, students were required to purchase a text that cost $141. The 22 students enrolled in winter term saved $3,102. With the success of the PDX Open pilot, the Library invites PSU faculty to contact us with ideas for open textbooks for other courses. Contact Karen Bjork for more information about book publishing with PSU Library. PDX Open was led by a Library team of Humanities and Social Sciences Librarian Sarah Beasley and Digital Initiatives Coordinator Karen Bjork, project leads, along with Jill Emery, Kim Pendell, Marilyn Moody, and Jennifer Wilkerson. PDXScholar, a service of Portland State University Library, provides open access to a diverse collection of academic, scholarly, scientific, and creative content produced by faculty, students, and staff. PDXScholar increases the visibility of authors’ works, maximizes research impact, facilitates interdisciplinary research, and provides regional and global communities with immediate and permanent access.